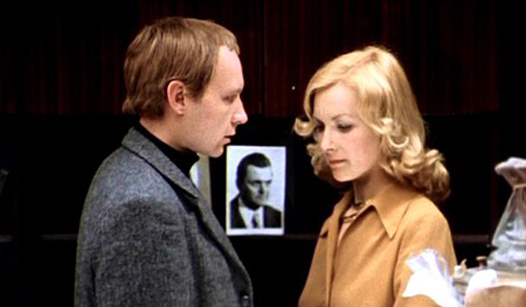 The irony of fate has brought Zhenya (Andrei Myagkov, left) and Nadya (Barbara Brylska, right) together, while the jealous Ippolit (Yuri Yakovlev, center) keeps haunting them. There are an awful lot of New Year’s traditions, and all countries and cultures have their own special ways of seeing into the twelvemonth to come. Germans, for instance, have spent the afternoon of each New Year’s Eve watching a funny 18-minute sketch with British actors called Dinner For One, also known as The 90th Birthday, for about five decades now. It has become the most frequently repeated television program of all time. Similarly, Russians have had their own favorite New Year’s movie since the mid-1970s, a romantic tragicomedy by the name of The Irony Of Fate, Or Enjoy Your Bath! 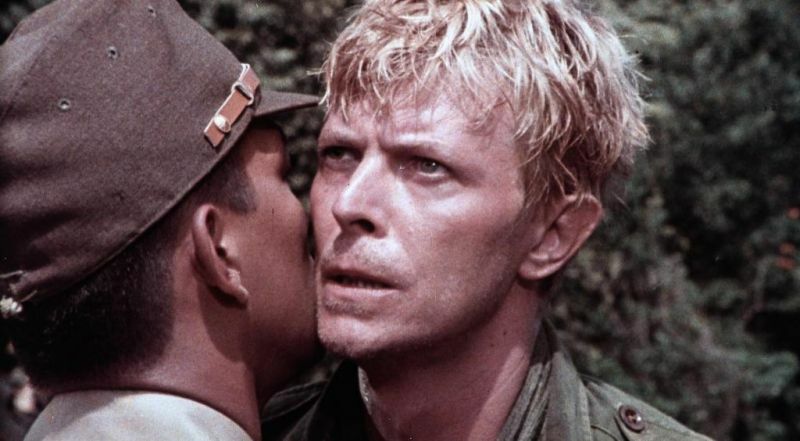 Major 'Strafer' Jack Celliers (David Bowie, right) and the Japanese camp leader Captain Yonoi (Ryûichi Sakamoto, left). Christmas – it’s the holiday season of giving that allows you to look back at the year behind you, reflect it, enjoy the little things in life, and all the people around you. Sometimes we take for granted just how lucky we are, despite the world of today being a scary place now and then. 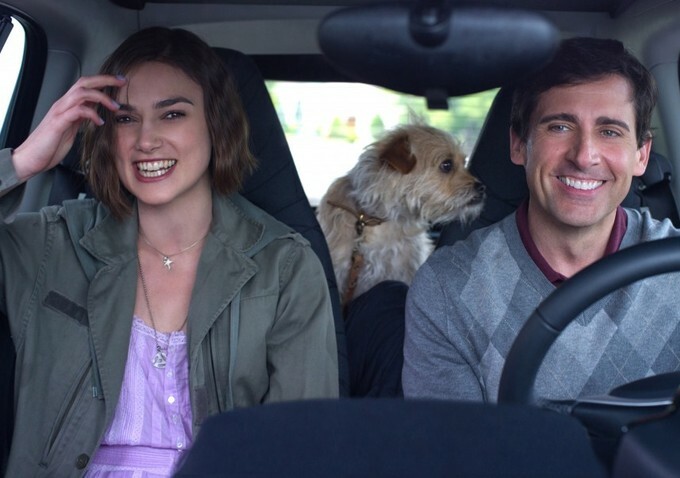 Penny Lockhart (Keira Knightley, left), Dodge Peterson (Steve Carell, right), and their new dog (center) on the final trip of their lives. So December 21st, 2012, has finally arrived, and we’re still alive and well – despite a myriad of (drug-inflicted) doomsday scenarios and predictions. Disaster movies have sprung up like mushrooms in recent years, tackling the question what you would do if you knew your time was short. Think Roland Emmerich’s blockbuster 2012 and countless others. Mark Lewis (Karlheinz Böhm) and his beloved camera. Norman Bates from Alfred Hitchcock’s Psycho is universally regarded as the quintessential movie psychopath. Nowadays, he’s simply an indispensable member of the greatest onscreen characters of all time. Psycho’s importance becomes obvious when we consider that its filming is about to become the topic of a feature called Hitchcock by Sacha Gervasi with Anthony Hopkins, Helen Mirren, Scarlett Johansson, and Jessica Biel that will hit the theaters come February 2013. Yet there is another criminally underrated movie nutcase who found his way to the big screen the same year as Norman Bates, and he deserves mention with the best of them. 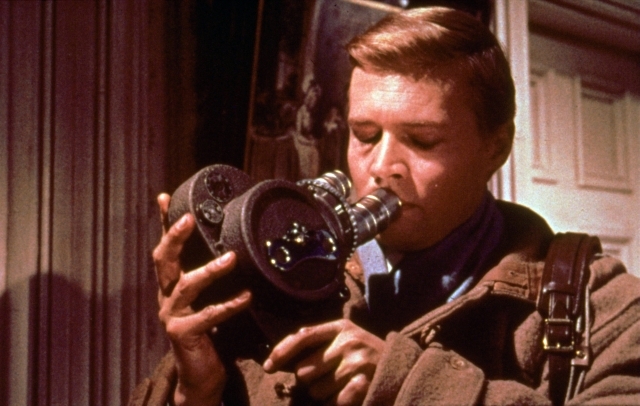 We’re talking about the loose-cannon protagonist from Michael Powell’s Peeping Tom.